The Air Jordan X turns 20 in a few months. 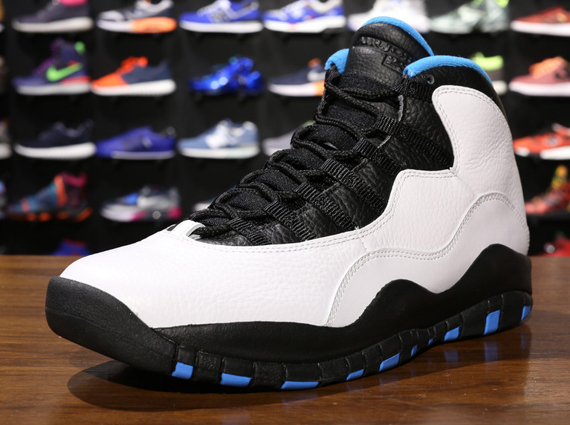 One of the original colorways is pictured above, because it’s the next one that’ll be hitting retail here this weekend. 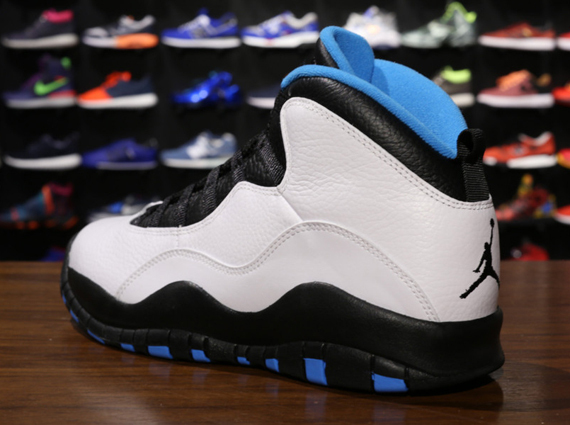 This ‘Powder Blue’ Jordan 10 Retro was originally linked to the Charlotte Hornets, and that’s fitting because Michael Jordan owns the Bobcats and is about to change that team’s identity back to one of the league’s best loved. 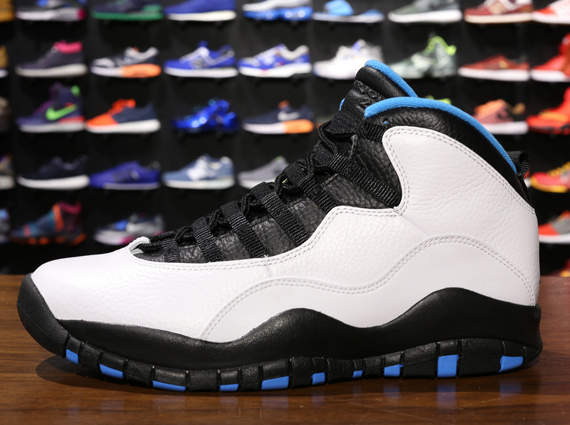 But you already knew that, because the ‘Bobcats’ Jordan X started the year off with a tribute to the team colors that will soon be discontinued. So this pair pictured above is another case of a retro release bringing a story full circle, and you’ll be able to get yours this Saturday at Jordan Brand stockists like Oneness.